Free £15 Uber ride for new customers! Posted on 21st June 2016 at 9:06 am. 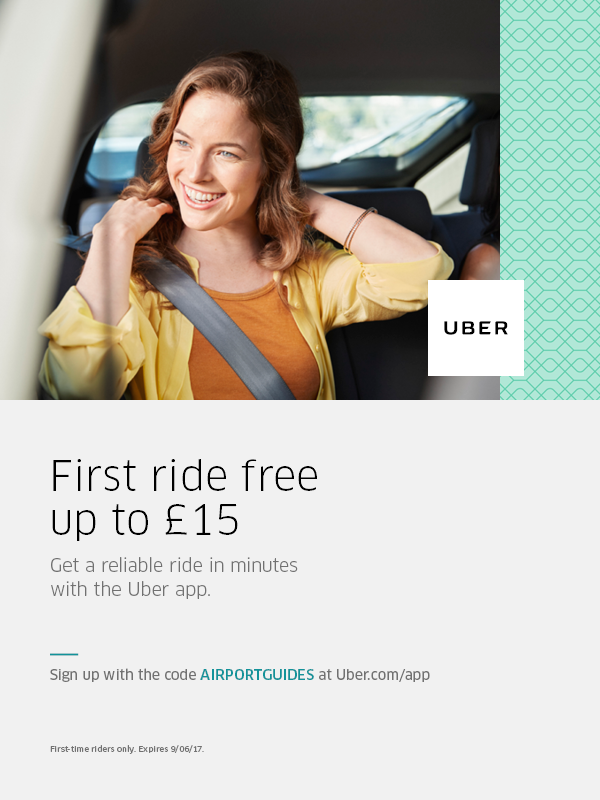 Home » News » Free £15 Uber ride for new customers! Great news for those needing a transfer to or from UK airports, the Airport Guides Network have teamed up with Uber to provide you with a free £15 journey! Uber was founded in 2009, after their founders got stuck in Paris on a cold snowy night and had trouble hailing a cab; they then came up with ‘Uber idea’ – tap a button and get a ride in just a couple of minutes! 7 years later and the service now operates in 474 cities worldwide! Uber doesn’t work like the conventional taxi or private hire experience. The app will find your location automatically and match you with their closest driver for your convenience, that also means you don’t have to venture outside to hail a cab. The app also securely stores your payment information and after the ride your account is debited and you are sent an invoice for the journey. You can also track your driver to get updates on how close they are to you, meaning there is no rush to gather all your belongings and say goodbye to friends or family when your driver arrives. How do I access this offer with Uber? To take advantage of this great offer, simply head over to Uber, sign up and our unique promo code – airportguides, should already appear in the promotional code box! This offer will expire on the 9th June 2017, so you have a while to create an account with Uber and take advantage of this deal! IMPORTANT – This offer can only be used on your first Uber ride, after which, your £15 balance will be wiped.